Brands are relying more and more on social influencers to get their name out. While magazines, radio and other traditional PR outlets are still necessary to help build brand authority and credibility, social media is now mandatory to reach the masses. Traditional publishing houses are also adapting to the needs of the rapidly changing digital media landscape. ITP has now set up ITP Live, a segment of ITP solely dedicated to social influencers. This is in a way institutionalising the power of social media influencers despite all the frustrations of journalists and PR practitioners. Can this lead to the regularisation of influencer industry rates? More proven case studies are showing that they are indeed affecting the purchasing decisions of consumers. We can now see agencies aligning with big influencers to help get the word out. 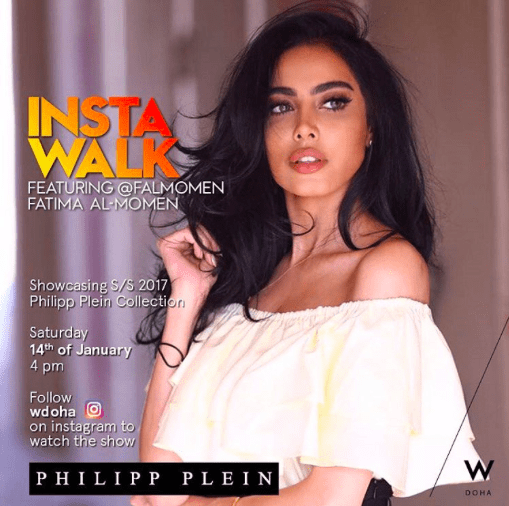 @wdoha gained over 1,000,000 social impressions from their Insta-Walk activation, fashion show hosted by social media sensation @falmomen. @liveentertainmentksa activated a huge influencer campaign to reach the Saudi market. This was the first live event of its kind to enter Riyadh and Jeddah. Social media influencers such as @saudigamer and @kh_abulaban helped the show penetrate to the KSA audience, resulting in a two-week SOLD OUT concert series! With the rising surge of social media influencers such as @guyindubai and @falmomen, we utilise this medium to serve our clients’ needs, but the challenge of finding better and more authoritative touch points in the social media sphere still remains. What is the future of PR and digital marketing? We know that print is dying and the reliance on influencers is growing. We strive to ensure that brands are aligned with the right influencers who can promote an authentic message.